We combine old world skills with the latest in today’s technology. 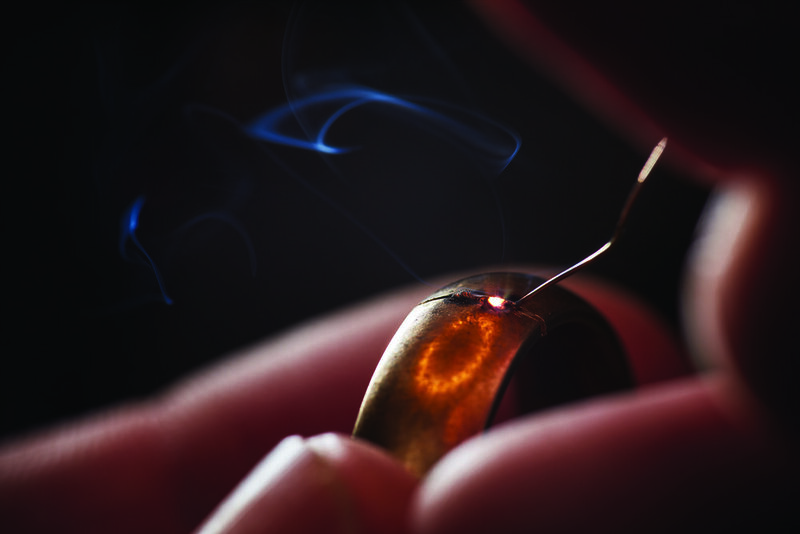 All repairs are completed in our open studio by highly experienced goldsmiths. Specializing in all phases of jewelry and watch repair. Custom designing. Jewelry restoration. Fire damaged jewelry. We offer a complete jewelry manufacturing and repair facility, providing our customers quality work in a timely matter. Denis has 15 plus years experience with the laser and was the first to use this technology in the Stillwater area. By using a sharply focused beam of light to produce very high heat in a small area, lasers are allowing Denis to make once impossible jobs possible. It also allows you to work on very heat sensitive stones that could possibly be damaged with a jewelers torch.